"Marli has made remarkable progress," her lawyer said. 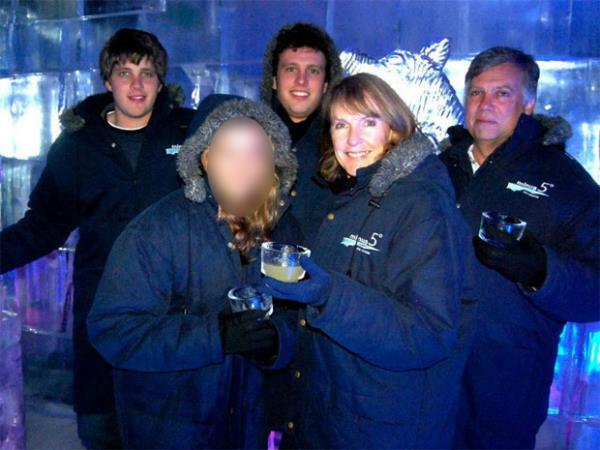 The youngest member of the Van Breda family will spend another year under the watchful eye of a curator while she picks up the pieces of her life. On Monday the Western Cape High Court determined that Advocate Louise Buikman would serve as Marli van Breda’s curator for another year. “I filed a report in my capacity as curator ad litem (see below) which contained an update regarding Marli’s current progress as well as my reasons motivating why she should remain under curatorship for a further year,” says Advocate Buikman. “I also made recommendations regarding her care arrangements for this period. Notwithstanding the fact that Marli has made remarkable progress, it was felt that she could benefit from a further year where her circumstances are monitored. Marli’s parents, Martin and Teresa van Breda, and their son Rudi, were murdered in an axe attack at their home in the exclusive De Zalze estate near Stellenbosch in January 2015. Rudi’s brother, Henri, and sister, Marli, survived. Henri was recently arrested and charged with the murders. The court determined that Advocate Buikman would serve as Marli’s curator and help her in any legal matters and have authority in major decisions such as Marli’s therapy in consultation with her family, teachers and therapists. “Before the end of January 2018 I will again report to the High Court regarding Marli’s progress to determine if she still requires a curator to assist her,” Advocate Buikman says. The court has ordered that court documents regarding Marli should be kept by the Registrar. Anel Jacobs, a lawyer from Pretoria, says the application to place someone under curatorship is usually made by a relative or someone with an interest in the person or their property. “The appointment of a curator will be done only if the person can’t take care of their interests or estate,” Anel says. This is someone who decides on matters such as where the person must live (in an institution or someone’s house) and the person’s health (whether they should go to hospital for an operation or not) and other personal matters. This type of curator is appointed when a person is deemed unfit to take care of their affairs, such as very old people, the deaf and dumb, those who suffer from severe epileptic fits, are physically disabled due to a bullet wound or motor accident, have suffered a stroke, have a mental disorder, are mentally challenged or disinterested in their affairs. The curator will help the person with, among other things, the administration of their estate. This is the person appointed to support someone in a lawsuit. The curator ad litem is usually an advocate of the High Court. Anel says it’s important to remember that the assets of a person under a curator’s care can be used only for their own advantage and to meet their legal obligations. The curator is also expected to administer the estate of the person with the same care as a conscientious and cautious person would manage their own estate. The curator must usually supply security to the Master of the High Court to prove that his obligations are being precisely fulfilled. According to Anel the curator personae and the curator bonis are usually people who know the person well. “This is so the curator can take care of their welfare. Sometimes the curator personae and the curator bonis are the same person. Henri van Breda and his girlfriend, Daniellé Janse van Rensburg, will appear in court on Wednesday on a charge of possession of drugs, and again in November on charges of murder and defeating the ends of justice.